This synger-derived algorithmic vocalist uses a reduced phoneme set inspired by polynesian languages. 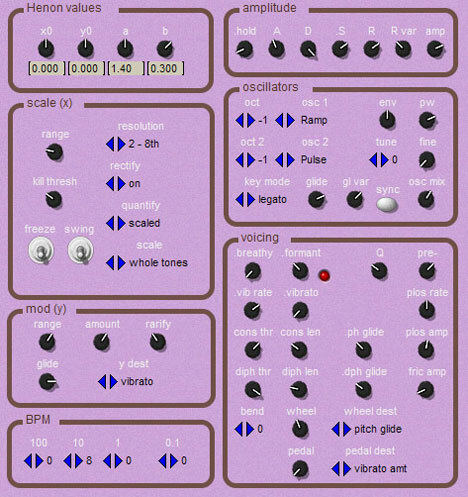 Xchanter uses Lance Putnam’s henon oscillator (orbit modeling) sep. This is a very old VST, as of 2008 I still hear of it being used.